Racing, an industry that thrives on human misery via its connections to gambling and animal cruelty, could get tax breaks after the State election, with the NSW Labor Opposition making it a commitment and some declaring this commitment an election “game changer“, putting pressure on the Coalition to follow suit. The implication that the wider community wants to increase support to racing is ludicrous – the industry can be cruel and fails to provide any long-term community or economic benefit. Surely, providing support at the expense of government revenue would be unpopular – it certainly is irresponsible. The proposed tax reductions would cost the NSW community hundreds of millions each year in lost tax revenue; funds that could be spent on services and infrastructure that people care about, including health, education and public transport. Between 80,000 and 160,000 Australian adults suffer from a significant gambling problem and a further 230,000 to 350,000 are vulnerable. When gambling becomes a problem there are serious social implications. Homes and jobs are lost, and law-abiding citizens engage in criminal behaviour. Family members, including elderly parents and children with no control of or participation in gambling, become victims. People’s lives are ruined. A number of constituents continue to raise these concerns with me. Australians spend around $19 billion on gambling products each year, equivalent to 3.1 percent of household consumption expenditure. This is more than the $12 billion spent on alcoholic beverages in retail outlets. For New South Wales the expenditure is $7.15 billion, which is 3.5 percent of household consumption and higher than any other State or Territory. Sports betting remains prevalent and has been surrounded by rigging scandals. Betting on dog racing has additional unscrupulous sides, with thousands of animals bred and then put down before they reach the track because they will not run fast enough. Animals that do race often face destruction when they retire, as there are not enough homes for them. I share the growing community indignation at the treatment of live, sentient beings as disposable commodities for an industry based on greed. There is widespread support for winding back gambling activities, however, most changes backed by the major parties aim at industry viability and economic value generated by gambling including through casinos. Community pressure recently led to a NSW Legislative Council select committee inquiry into the greyhound industry and its first report included damning animal welfare findings. 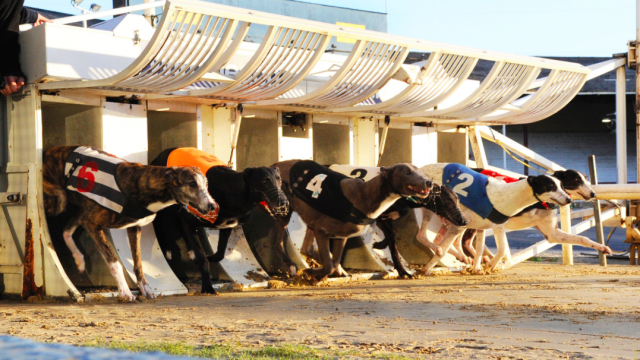 Bottom line – industries such as the greyhound industry thrive on problem gambling and animal cruelty and should not be bolstered at the expense of schools and hospitals.